Planning a menu around gluten can be exasperating. The number of people being diagnosed with celiac disease or sensitivities increases daily. They are difficult to manage because these types of sensitivities are hard to pinpoint. The incidence for these conditions is around 1% within the U.S. Many foods, especially packaged products include gluten. Do not be fooled by labels which say gluten-free. Always check the label, even on package claiming they are gluten-free. The term gluten-free can be placed on the label of foods which are no more than 20 ppm of gluten. Remember that wheat free is not the same as no gluten. The FDA does not demand that manufacturers test the end product for gluten, but companies are responsible for honest labeling. Products made with oats can be problematic. Many celiac patients do not experience issues with certain species. Specific varieties naturally contain less than 20 ppm of gluten. They are often processed with other grains which are not free of gluten and cross contaminated. Wheat is one of three main culprits and its central protein is gluten. Barley is second and a villain in disguise. It may sometimes be labeled as hordein. Rye is the third and last ingredient used most commonly used. Its Latin name is secale and is often used on labels by manufacturers. Malt is a made from barley and often used as a flavoring. Depending on the method used, it can contain as little as 20 ppm of gluten. Gluten levels may also be as high as 1,800 to 2,000 ppm. A byproduct of beer is called brewer’s yeast and is definitely not considered to be gluten-free. Note: Some gluten sensitive people can tolerate whiskey which is distilled with rye. 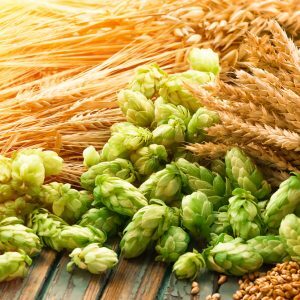 Almost none can drink beer which contains barley, brewer’s yeast, and/or malt. The medical world classifies celiac disease as an autoimmune disorder. When you consume gluten, your immune system attacks it as if it were a dangerous, foreign body. It leads to a chain reaction and can result in the exacerbation or development of other diseases. During this attack cilia vital to absorption along your digestive tract are damaged. In the long term, they can be destroyed completely compromising your body’s ability to break down and use important nutrients. If you believe you may be suffering from some form of celiac disorder, you should consult with your physician. It is also helpful to arm yourself with as much information as possible. Consider signing up for a regular newsletter of joining a forum for celiac dieting. Many environmental factors can be triggers as well. Severe or long-term symptoms can lead to irreparable intestinal lining damage. The symptoms of celiac disease do not have to involve the digestive system. You may develop hives, a rash, minor to severe itching, and/or blisters. You may develop ulcers as well as experience diarrhea and/or vomiting. Stomach discomfort may lead to long-term nausea, gas, and indigestion. You may experience a reduced or lack of appetite and severe weight loss. 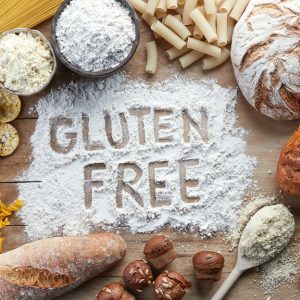 Chronic celiac symptoms can result in bone loss, malnutrition, and the development of additional types of autoimmune disorders. You may experience fatigue and suffer from muscle wasting as well as joint pain. This condition can retard normal growth and seriously delay the onset of puberty in children. Avoiding triggers to celiac sensitivities is the first step towards preventing intestinal damage. The gluten-free life is an arduous journey in the beginning. It is much more difficult for busy professionals and those who already follow specific diets. A good start is listing foods known to contain gluten naturally. Be aware of food products which gluten often lurks in. The list below is only a beginning. It is not a complete listing. There are numerous delicious and nutritious foods which are gluten-free. There are many types of flours which contain no gluten as well as products manufactured from them. This alone offers many versatile possibilities. Check out some of these gluten-free flours. You can just about guarantee several alternative products are made from them. You can find them at your local grocery or whole foods store as well as online. While potato flour provides carbohydrates, it does not contain any gluten. A one cup serving offers about 130 grams of carbs. Potato flour also provides dietary fiber and a healthy dose of vitamin B-6. The same amount of brown rice flour has around 120 grams of carbohydrates, only about 4 grams of fat, and absolutely no gluten. A single cup of millet flour provides 22% of your daily iron and 50% of your manganese. It offers almost 13 grams of protein and 85 grams of carbs. A serving of buckwheat flour contains approximately 15 grams of protein and 85 grams of carbs, but no gluten. Soy flour offers higher levels of protein and fewer carbs than other flour replacements. That’s about 40 grams of aminos and only 31 grams of carbohydrates per one cup serving. It also provides nearly two-thirds of your daily iron and half of your omega 3s. Note: Corn flour is another confusing ingredient. Make sure you read the label. Corn flour products processed with wheat contain gluten. Those which are manufactured using only corn are generally safe.